DOES YOUR BUSINESS HAVE A 5 STAR REPUTATION? Reputation Management doesn’t make your business money. Reputation Marketing does. Get your employees understanding the power of reviews and ask for them at every opportunity. 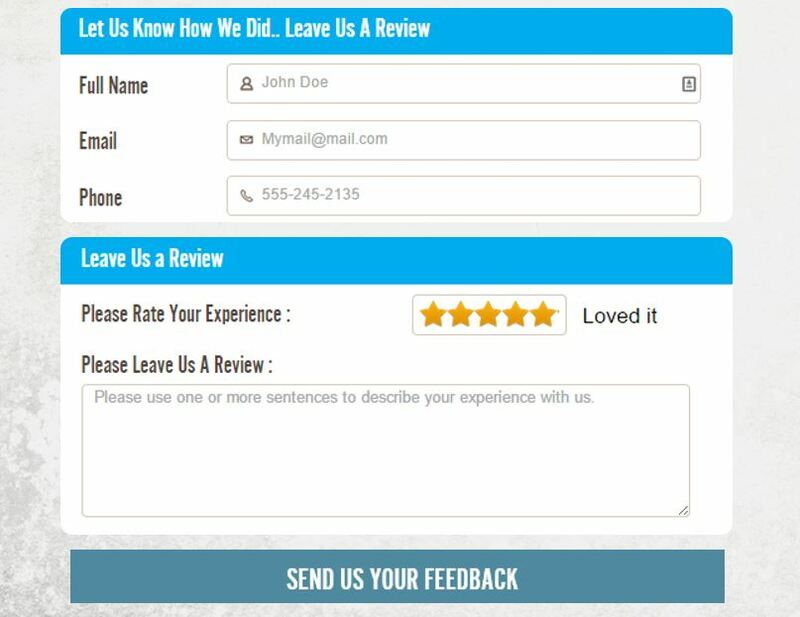 Collect five-star reviews from your most satisfied customers with custom feedback pages. Encourage customers to published their 5 Star Reviews on review sites & directories for your business. Consistently have the most compelling reviews on your website and Facebook page where they can be seen. Share the social proof of your five-star reputation by sharing your review in Pinterest, Facebook, Twitter, Flickr and off-line marketing. Imagine the powerful influence that five-star reviews from hundreds of your satisfied customers will have on showing potential customers that you are the best choice and the market leader. That’s what a 5 star online reputation can do for your business. Marketing a 5 star reputation is the greatest opportunity there has ever been to seize an advantage over your competition and establish yourself as the clear choice and market leader among consumers where you do business. To do nothing means to invite your competition to take that lead while you just watch it happen online. Take charge now and develop a 5 Star Reputation for your business. Get a free reputation marketing report so we will show you the current status of your business’s online reputation. As a small business, you are responsible for marketing your business – and that means identifying your most viable marketing avenues. Whatever size your business is, there is no denying that it should have an Internet presence, as the Internet is the arguably the most powerful marketing arena there is. A large part of establishing a strong online presence is managing your online reputation. What is online reputation marketing for small businesses all about? Here are some things you should know about online reputation marketing for small business. Besides personal referrals, consumers are now trusting your online reputation and reviews more than anything else. People are looking for companies with at least 6 to 10 good reviews before they buy a product or service. These reviews are more trusted than the brands themselves. Don’t leave your reputation marketing to chance. You need to market your reputation. We can help you get those 5 star positive reviews for your business and get that information online where it can be found.